Expect to find a great community of locals in Lander, whether you’re climbing or in town, you’ll hear lots of laughter and see lots of smiles. The town is very laid-back, friendly, and surprisingly liberal. We wrote a separate post about our week in Lander if you want to read more about the atmosphere. Most of the climbing feels (appropriately) old school. The area is not over-bolted and the climbs are usually on par for the grade or a bit stiff. The guidebook is pretty accurate with star ratings; many climbs Steve even recommends avoiding, and you wonder why, until you climb them, and then realize Steve was probably right. Note: In the past Google can get very confused with many of the locations of the fine establishments in Lander, WY. We’ve tried to include addresses in the descriptions to help out. How far away is the climbing from Lander? Wild Iris crag is about 30 minutes outside of town. The closest climbs in Sinks Canyon climbing can be yours in about 10 minutes from town (7 miles up the canyon) and the crags continue on for another 6+ miles. The Middle Fork – Basically THE goto spot for brunch. Fresh squeezed orange juice and delicious mimosa’s. They try to get their food locally and it’s climber owned. This is a restaurant vs cafe hangout spot. Crux Coffee (300 Main St) This was definitely the hip cafe. Super friendly folks, bright atmosphere, great snack options (pastries/quiches/breads/muffins) and a bunch of pita wrap choices. Larger portions than the Bake Shop for food. Speedy Wifi and tons of seating but limited electrical outlets (the bar has a ton, and there are now some in the back). Hours: 7am-7pm everyday. Lander Bake Shop (259 Main St) Cute, community feeling space. Super delicious quiche. Wifi is slightly less consistent than Crux. They have bigger tables for larger groups of climbers and don’t seem to mind longer hangouts. The Breadboard (1350 Main St). A sandwich spot where all the bread is baked fresh on site. Drive through available as well. Closed, It was too good to be true 🙁 Wildflour Bakery *Hidden Gem Alert* It is hidden in the Best Western Inn (260 Grandview Dr). WOW. For starters, $3 can easily get you a delicious bagel sandwich. For $2 you can get the largest cinnamon buns ever. This is a STEAL! They also sell day-old loaves of bread for like $1.50 (2 days and it’s 75 cents). Or get a package of day old, muffins for 50 cents. The lady that owns this place is also SUPER nice. Can’t say enough about this awesome place. Hours: 7am-1pm Mon-Sat. Aside: Best Western Bfast is 6am-1pm (did not test quality/prices, but the decor was friendly and lots of windows for light). Closed. Main Street Books (366 Main St). Coffee shop is in back of the bookstore. They have a bit cheaper prices on drinks and snacks than most on Main St. A few tables and some outlets available in back. You can overhear liberal political conversations in the morning. Hours: M-F 7am-7pm. Sat 9am-6pm. Sun 10am-4pm. Where are the best spots to eat and drink in Lander? Note: Few dinner options are open past 9pm. Most the “popular” restaurants were located on the same Main St. block. The Middle Fork (351 Main St) has the best breakfast and lunch food in Lander (and very yummy cinnamon buns). Gannett Grill / Lander Bar combo (126 Main St) The Grill has great burgers, sandwiches, salads, and pizza and veggie options too. The bar has enough beverage options to satisfy any alcoholic need, and tap beers are $5 a pint. Outdoor seating is wonderful, there’s even wifi, and there’s a ton of seating inside too. This dual setup definitely seemed the most popular with the locals and out-of-towners. Cowfish / Lander Brewery combo had a big menu, and talked about the food being local (the beer is brewed on-site). They have nice outdoor seating too. Lots of steak, burgers and seafood. A bit pricier fair ($15+ for entrees) means we haven’t tried it yet. Zanmai | Sushi And Korean BBQ (140 N 7 St) – Just off the main drag, next to a dive bar. It’s much nicer inside than you might assume from the outside and comes highly recommended from the folks at Wild Iris. Prices are typical sushi-style, but they also have Thai and Vietnamese dishes. Limited vegetarian options (as you may expect). Open everyday for lunch, and after a break they open for dinner til about 9pm. Locals tell us the lunch buffet is the budget way to go. China Garden (162 N 6th St) – We haven’t tried this yet, but you can find Chinese in Lander! El Sol de Mexico (453 Main St) – A Mexican joint with reasonable prices. Tony’s pizza (637 Main St) – A pizza joint with rooftop seating. Scream Shack, right next to the Brew Pub, ice cream and milkshakes from Portland. Ken & Betty’s 371 Main St (11am-10pm). Flavors from a variety of places. Dairyland 977 Main St. Drive-in cremee style. Taco Johns (9th and Main), Subway (across from Dairyland a block or so past Taco Johns), and Tony’s (637 Main St) Pizza just started longer hours on Friday, til midnight! What are the camping options in Lander / Wild Iris / Sinks Canyon? A sign to make one’s heart melt. <3 City Park! City Park – Free tent / RV camping (go South on 3rd street and you’ll enter the park in a few blocks). The sign reads 3 day limit, but we saw a few folks staying longer. We stayed 3 days, left for a day and then came back for 3 more days, and had no trouble. That said, abuse to this super awesome privilege is not recommended by any means. Sleeping Bear RV is just east of the main drag and you can get tent / RV water & electric or full hook-up sites. Our water and electric was just under $25 with our back-in trailer site (same sites the tenters use, though tenting is cheaper). Super nice clean bathrooms with endless hot water, pay laundry, and free wifi. Twin Pines is another RV/tenting spot a little further down the road towards Wild Iris but their prices were higher so we’re not sure of the benefit over the Sleeping Bear. For all Wild Iris camping options do not leave any food outside / within a Bear’s reach. Free camping at Wild Iris is right below the Ok Corral walls. The camp sites are surprisingly nice. And there’s a pit toilet nearby. To get here: go past the main lot and take a right at the toilet, camping is along that road. Atlantic City/South Pass campgrounds. Go past Wild Iris about 5 miles, the brown sign will be on your right and the road is on your left. $6 per night, there’s picnic tables, water and pit toilets. Two State run campgrounds (Sawmill and Popo Agie) cost $11 per vehicle (pulling a trailer is counted as 1 vehicle), per night (unless you’re a WY resident, then it’s only $6 per vehicle). Popo Agie campground has the trail to enter climbing for Shady Side (including School Wall). And it’s a short walking distance to the Main Wall area too. Forest Service Campground (Sinks Campground), $15 per vehicle. Free Camping: just past the Missouri Field Camp on the left. Or keep going up the switchbacks and a mile past the Fossil Hill parking lot/climbing area and you’ll find dispersed camping at Frye Lake. We’ve also been told you can camp in the Fossil Hill parking lot and nobody will bother you, but it’s far less aesthetic than Frye Lake. We paid for a night at Popo Agie and had a great view of the Sinks Main Walls. Where can I find free drinking water in Lander? City Park has two options for filling up jugs. There are two water fountains that also have a water fill-up spout. One is near the large pavilion near the grassy tree tent area and the other is in front of the second set of bathrooms by the RV turnaround. Wild Iris Climbing Store also had a spigot at the front of the building that you can use. 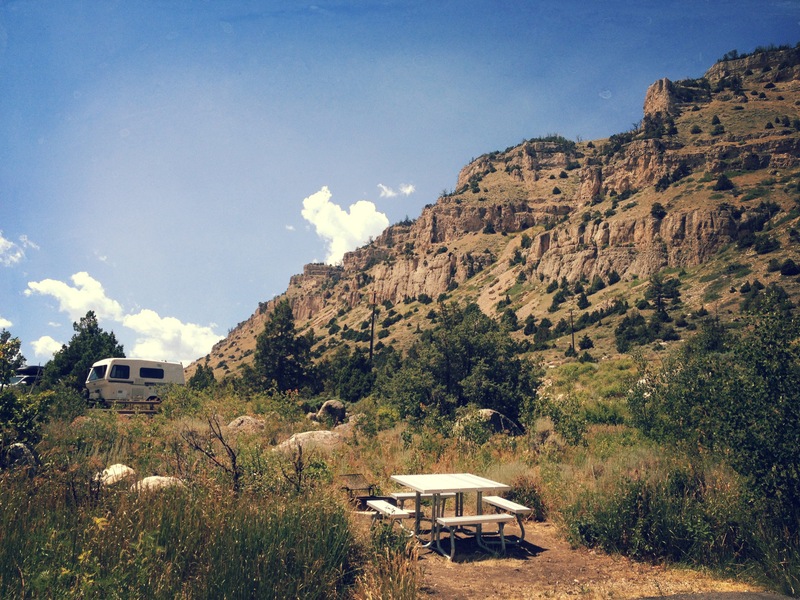 State and Forest Service campgrounds will be your next best bet (and the closest to the crags). One more in town option (particularly for filling up trailers/RV’s): take the right across from McDonalds, on Buena Vista Dr, and go a quarter mile. On your right there is an RV dump station that also has a well pump. It says don’t drink the water, but the locals say that’s only to deter people from filling up for free (you’ll notice all the ranchers paying for water at the bulk fill-up station there). Where can I find showers in Lander? Where can I do laundry in Lander? American Laundry and Dry Cleaner (5th St & Lincoln). No coins, you get a swipe card. Hours: 5:30am-10pm every day, but they do like to go home early when possible. Sleeping Bear RV has 3 pay washers/dryers. Quarters ($2.50 laundry, $1.50 to dry). Easiest to use if you’re staying there. Where can I get wifi (internet) in Lander? Lander Library (200 Amoretti–walk north on 2nd, a few blocks from Main St and you’ll see it on your left) has great summer hours. Opens at 10am and M-Th closes at 7pm, F-Su closes at 4pm. Tons of tables and outlets. In a pinch you can get wifi outside the building after hours too. Warning: The outside bench is not comfortable! All the coffee shops listed above. Safeway also has Seattle’s Best coffee and a cafe area with a few tables and wifi (and outlets). Where can I buy groceries in Lander? Mr. D’s (725 Main St) is locally owned, you’ll see this one first as you drive West. 6am-11pm everyday. Safeway (1165 Main St) is a new store, but it has some surprising finds (jackfruit, dragonfruit, etc). The Grainery (173 Main St) is a health foods store, not a full grocery store. 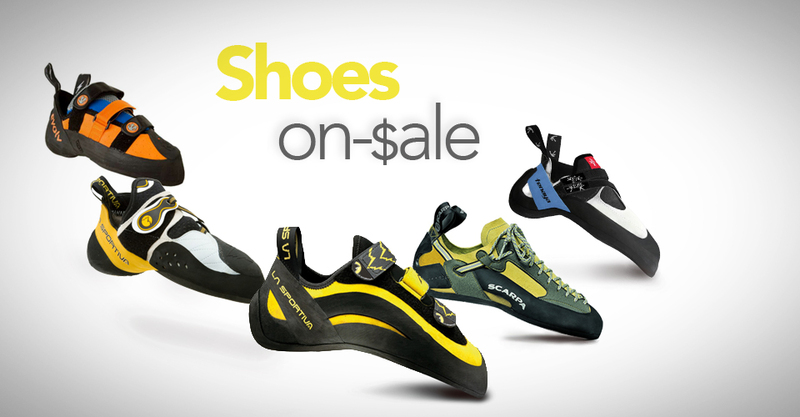 What’s the local climbing store in Lander? Wild Iris Mountain Sports (166 Main St). All the folks that work here are happy to help give beta on anything: climbing, food, things to do, filling out permits, whatever you’d like! They also have all the local (and semi-not-local) guidebooks and maps for climbing and hiking. Feel free to give ’em a ring too: (307)-332-4541. What are the best climbing books for Wild Iris and Sinks Canyon? Roped Climbing: Lander Rock Climbs 2018 Edition, by Steve Bechtel (long-time local guru) and friends is wonderful with color photos and TONS of new routes (particularly since the 2011 b/w no photo edition, and even a great upgrade from the 2015 version). If you’re looking to save some bucks you can find some used copies of the 2015 version on Amazon. Bouldering: Bouldering in the Wind River Range by David Lloyd (it’s SUPER colorful, awesome pictures & paper quality). What is the local Lander climbing gym? Elemental Training Center (134 Lincoln, behind the Lander Bar). Bouldering room on the left and weights and cardio room on the right. M-Th 8am-7pm. F 8am-5pm. Closed weekends. Hope we don’t need this, but what is the closest hospital? Lander Valley Hospital. Head out of town towards Wild Iris, take a right on Buena Vista Dr. The hospital is at the top of the hill on the left. Phone: (307)-332-4420. Coalter Block Website – The 5 restaurants that make up the Coalter Block (menu’s, hours, etc). Hi there, reading this in Ireland, am headin Cirque of the Towers in August for two weeks climbing. This has lots of useful information all in one place. Thanks. I fly to Denver 29July and on to Riverton on 30july . I would really appreciate any information on transport from RIVERTON to LANDER. [i wont have a car]. I will be spending 4 days in Lander and then meeting my climbing partners,we will stock up with food etc and head into the Cirque. I’m not as familiar with all the transport options in general since we live full time in our mobile trailer, but for more info I would call Wild Iris (the climbing shop) at (307) 332-4541 or NOLS (800) 710-6657. I’m sure they have all the transportation options on lockdown.